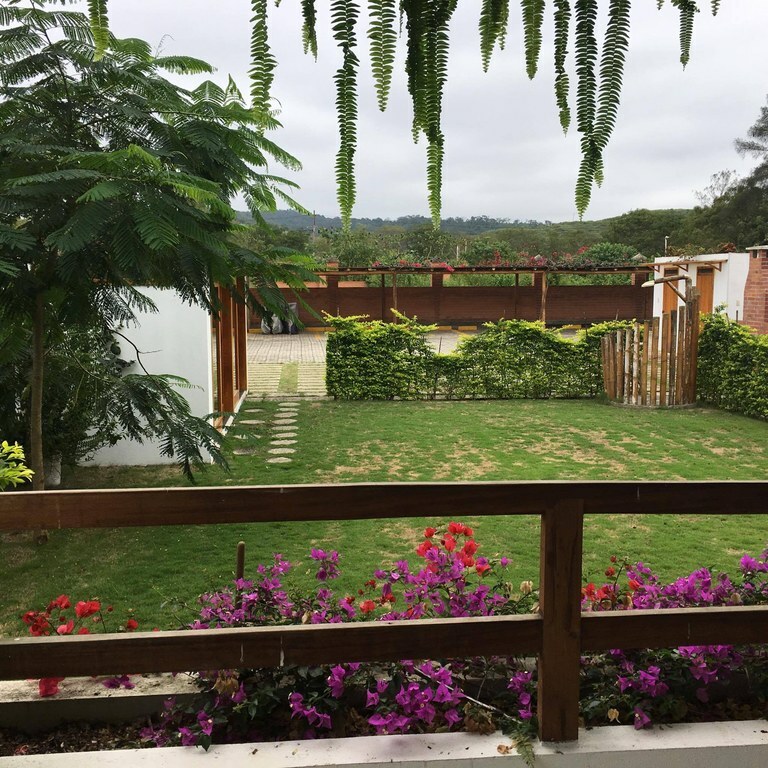 Amyprisco.com - Real Estate in Ecuador. 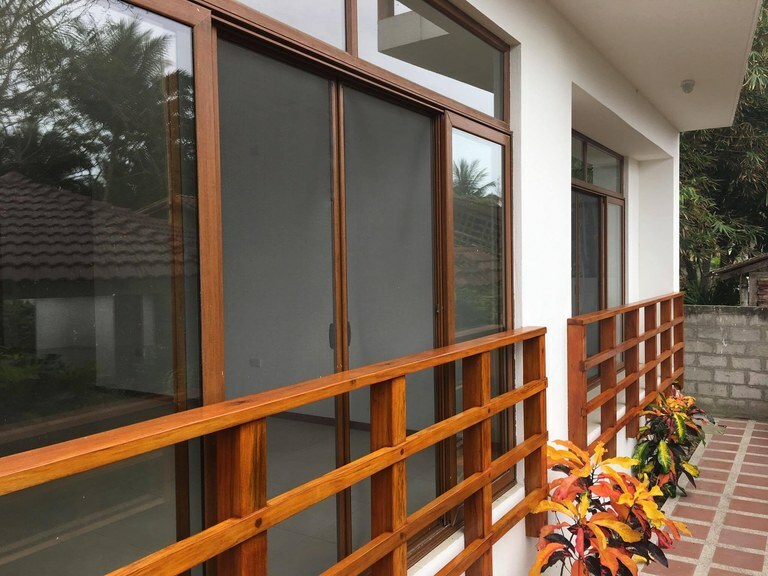 Discover the largest offer of properties for sale and for rent in the main cities of Ecuador: Quito, Guayaquil, Cuenca, Loja, Manta, Portoviejo, Salinas, and many more locations. Use our filters to select the province and city where you want your next home! **APRIL 2019: PRICE REDUCTION FROM $200k to $190K** Seriously, the hammock comes with the unit so no need to buy one!! This is a great place to escape any revolution and just sit back and relax. The condo is huge with plenty of open space and nice large rooms. The best thing is of course the fantastic balcony where you will undoubtedly be spending all your time. As you enter this unit you see all wide open space for the open-concept living/dining areas, with a great architectural design wall feature with great yellow accent colors on the walls. There is a powder room of to one side and there is a breakfast bar on the other which opens up to the large kitchen. The galley kitchen extends back to the laundry area. Heading down the long hallway with arched entrance, there are 4 bedrooms and 3 full bathrooms. 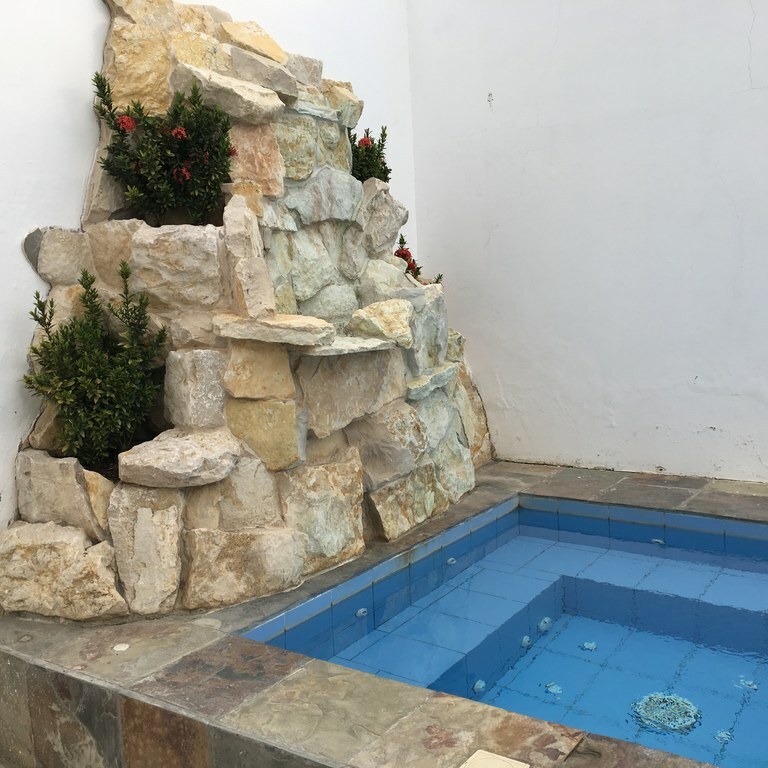 The master has an en-suite bath as well as the smallest bedroom. There other two bedrooms are quite large and share a big bathroom. The unit is being sold un-furnished. The building has 24 hour security, interior parking, a large pool and outdoor seating with bbq area. ***MARCH 2018 PRICE REDUCTION: WAS $235,000 NOW $224,900*** The C-model has to be the nicest model in the Alamar building, with wrap around views offering lots of light, cross ventilation and spacious living areas - a true beauty. This one is no exception! With almost 1500 square feet of living space, this open concept unit is great for entertaining. The great gourmet-style kitchen comes with the major appliances and has ample storage space. You can even look out over the ocean while at the sink!! There is a small laundry room right off the kitchen with its own tiny shower. The eat-in counter area opens up into the dining area as well as living room, with great views from all sides. These areas are also fully furnished including split a/c. The master suite is enormous with its own full bathroom, plenty of closet space, split a/c unit and an office nook which juts out just enough to have almost 360 views. There are two other bedrooms, each with own full bath, closets and split a/c units. There is a half-bath at the main entrance for guests. The building is one of the best in Salinas, centrally located right on the boardwalk within walking distance to all. The building has 24 hour security, and fantastic social areas which include a gym, adult and kiddie pools, sauna, jacuzzi and steam room. The unit is being sold completely furnished. There is a parking spot as well as storage unit. This is a brand new building in its final construction stages and already has residents occupying some units. The construction agent has built several other beautiful buildings in the same area showcasing his craftsmanship and eye for detail. Don’t miss out on this opportunity to live and invest in a beautiful beach setting with lot of potential for future growth. This new project has 19 units, all 2 bedrooms / 2 full baths all of which are approximately 1000 square feet. You enter the unit into an open floor plan kitchen-living-dining area. The modern kitchen has a center island, granite countertops, upper & lower cabinets and comes fully equipped with new induction cooktop stove, decorative range hood, refrigerator, double oven and dishwasher. The master bedroom has an en-suite full bath, and there is a laundry area inside unit with washer / dryer hookups. The condo has ceramic tile floors throughout as well as recessed lighting. The bedrooms and living room come with new air conditioners installed (splits) and are wired for internet and Direct TV. Each unit has their own laundry room with new washer/dryer as well as hot water heater. The building will have two panoramic elevators, a small exercise area, a pool, parking lot and on-site storage units. There will be video- intercom and video surveillance system available. Estimated initial homeowners fees are approximately $100/month. Prices start at $135,000 and depend on the floor location. No shoes, no shirt, no problem!!! 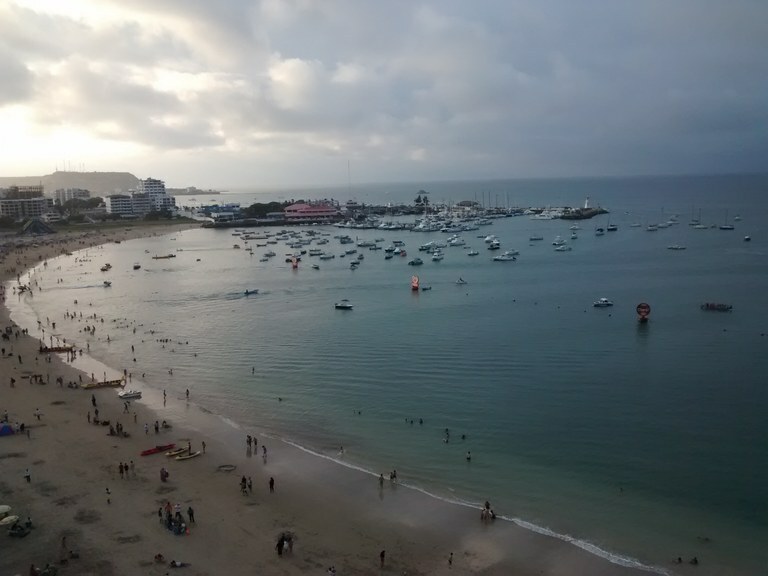 “No worries” is what beach living in Ecuador is all about. Just pack your suitcase and let us handle the rest!! This condo is going to be your refuge away from the main attractions of Salinas without being too far away. 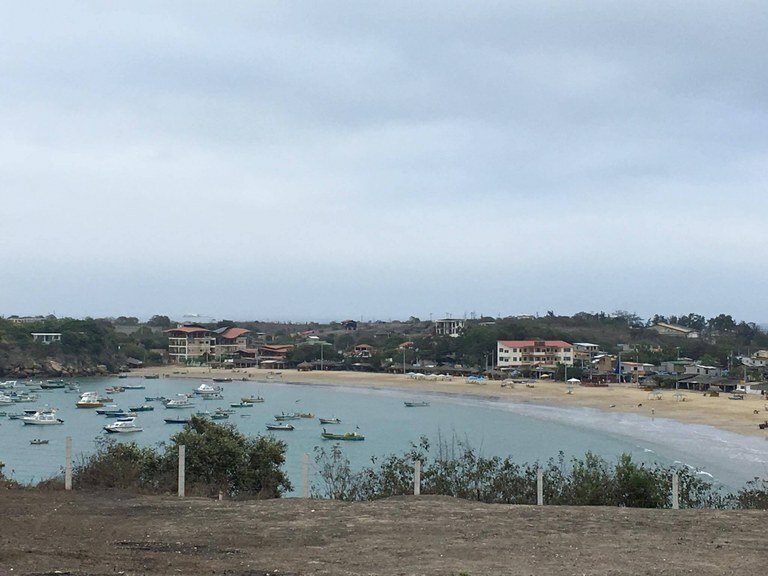 The La Milina area of Salinas has a nice growing expat community and the beach area is quite different from downtown. Long rolling waves with low tides that go way out allowing you to walk along the shores. 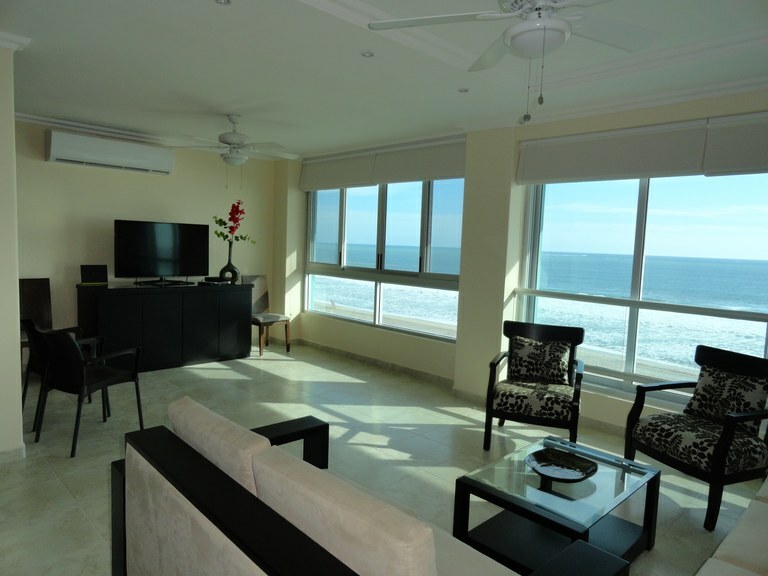 The condo is over 1500 square feet and has an enormous balcony with a view of the ocean, just a block away. The master bedroom has balcony access as well as a large walk-in closet area that leads to a nice size en-suite full bath. The other two bedrooms are down the hallway, one of which has an en-suite full bath and there is another full bathroom in the hall for visitors and/or the third bedroom. The main living/dining area is huge, running almost the entire length of the balcony. The enormous open concept kitchen has a great breakfast bar and plenty of granite counter space. In the kitchen is an area for laundry hookup. The elevator building is fairly new, and has only 5 units. Each unit has an assigned parking spot with automatic garage opener. 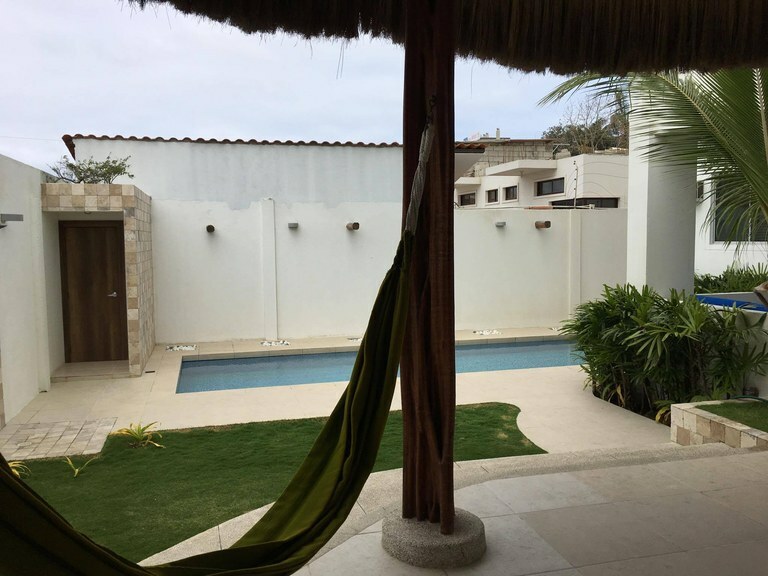 There is a generator for the common areas which include a nice sized pool, outdoor shower and bathroom, green grass area, palapa with hammocks, bbq area and covered seating area. The cure for anything is salt water... we've got that!! 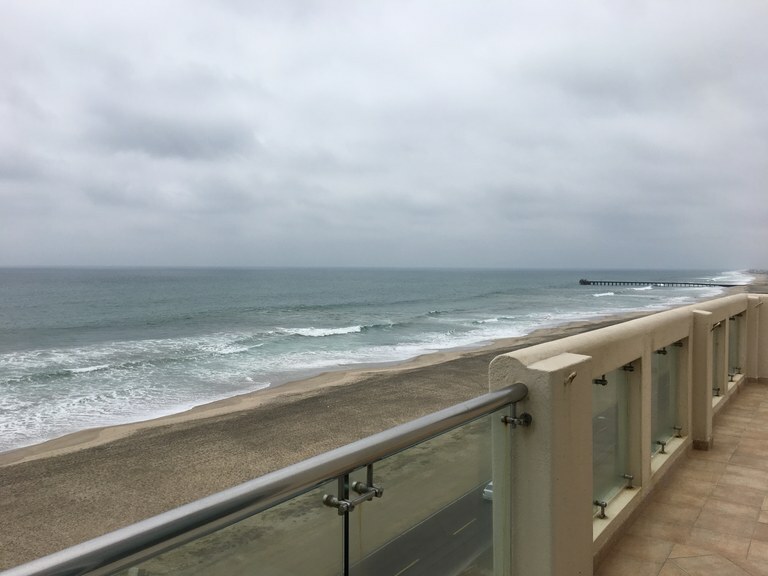 Come live by the ocean in this contemporary design condo in the San Lorenzo section of Salinas, just across the street from the beach. 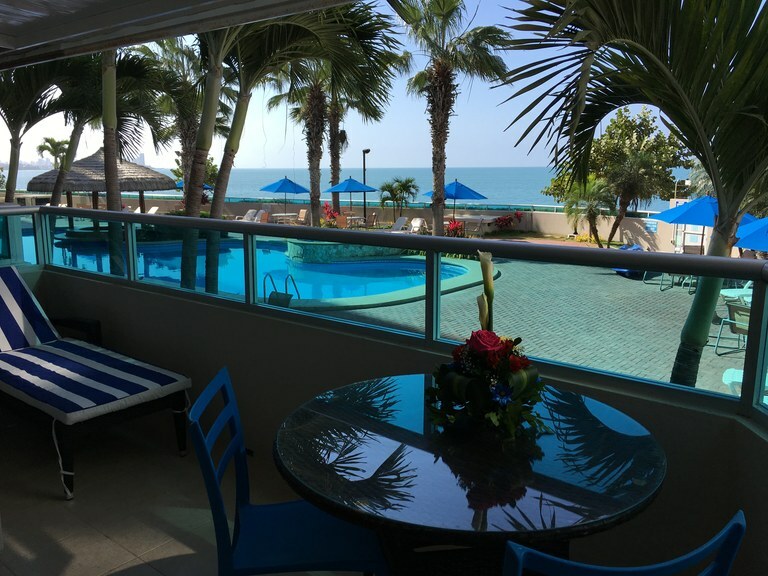 Nestled away nicely in this modern building, the 3 bedroom, 2 full bathroom condo is the perfect size for your new vacation home. The living/dining combo is off the open plan kitchen with access to a separate maid’s quarters with own bathroom. The condo is approximately 900 square feet and is being sold with most furniture. There is no parking spot, however, there is a storage unit. Monthly building fee is currently at $140 and annual property taxes are just over $200. 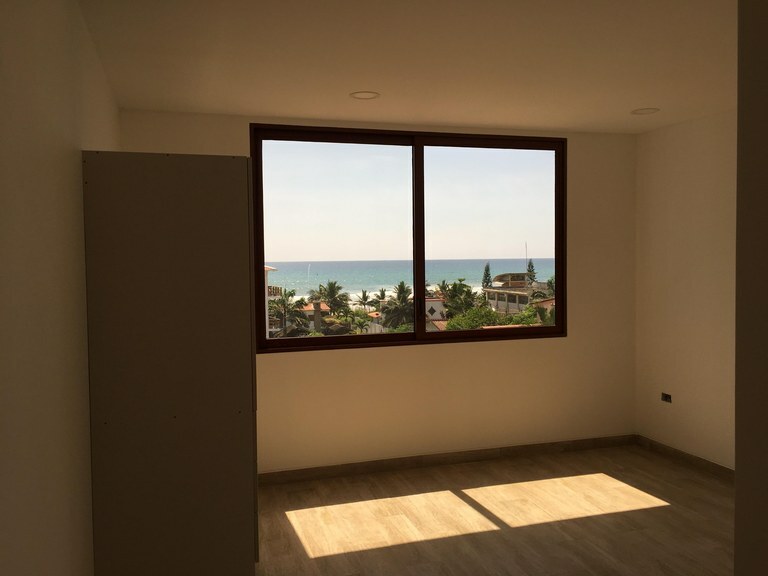 This ground floor unit is the last one left in this new building in a great area of Olón, just a block off the beach. You can hear the ocean waves from the condo and at the same time listen to the birds chirping outside your window. The unit is nice and cool, surrounded by lush shrubs, trees, and flowers. The building itself is located in a gated complex with very well maintained grounds containing multiple green garden areas. Over 1500 square feet of living feet nicely distributed amongst 3 bedrooms, 3.5 bathrooms, laundry area, open kitchen and living/dining areas. The kitchen has granite countertop and nice stonework as well as plenty of cabinets and storage space. Included in the price is an induction cooktop stove as well as hot water heater. The unit has an assigned parking spot as well as storage unit. Don’t wait, life goes faster than you think!! Been thinking about Ecuador for a while, now haven’t you? What are you waiting for? 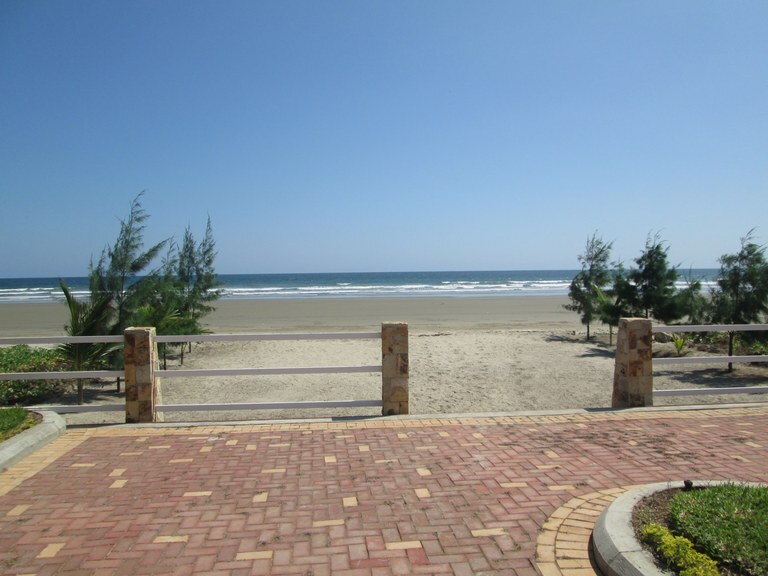 This is a great time to be investing in beach property in Ecuador. And even better in the southern coast where the properties have seen an increase in value and demand from both national and international buyers alike. This condo is just gorgeous. The layout is great with over 2000 square feet distributed nicely throughout this corner unit. The back half of the condo is where you will find the 4 bedrooms and the 4 bathrooms. Two of the bedrooms face the back yard and have small balconies. The master is a nice size and has a huge walk-in closet area as well as great en-suite bathroom. The front half of the condo is for your pure entertaining pleasure. Entirely open concept from the huge gourmet kitchen with center island to the living/dining area which opens out onto an expansive front balcony with distant ocean view. The kitchen appliances that are being sold with the unit are all brand new: oven, microwave, stove cooktop, rangehood, and dishwasher. The condo fees are approximately $200/month. The condo is located on the ground floor and has a parking spot. The elevator building has a pool, exercise room, bbq area and outdoor shower. The grounds are maintained really well and have plenty of lush green yard, trees and plants. There is access to a community tennis court. This condo is just gorgeous. The layout is great with over 2000 square feet distributed nicely throughout this unit. The back half of the condo is where you will find the 4 bedrooms and the 4 bathrooms. Two of the bedrooms face the back yard and have small balconies. The master is a nice size and has a huge walk-in closet area as well as great en-suite bathroom. The front half of the condo is for your pure entertaining pleasure. Entirely open concept from the huge gourmet kitchen with center island to the living/dining area which opens out onto an expansive front balcony with distant ocean view. The condo is being sold completely furnished for a move-right-in-experience. The condo fees are approximately $200/month. The condo is located on the ground floor and has a parking spot. The elevator building has a pool, exercise room, bbq area and outdoor shower. The grounds are maintained really well and have plenty of lush green yard, trees and plants. There is access to a community tennis court. This large, multiple level house is a great escape from the hustle and bustle of Salinas proper. Rustic charm gives this home character and the fantastic landscaping around it give it flair. The downstairs has a large open living area with a corner bar, visitors bathroom plus large open plan kitchen with huge attached pantry. Out the back door leads to a small laundry area as well as access to the on-site common areas. Heading upstairs there is an additional great sunken living room with fireplace. The first floor has 2 bedrooms with two bathrooms plus an extra room which could be considered the third bedroom or better yet a nice study or office area, with lots of windows. Going up another staircase leads you to the master bedroom with en-suite bath and walk-in closet. 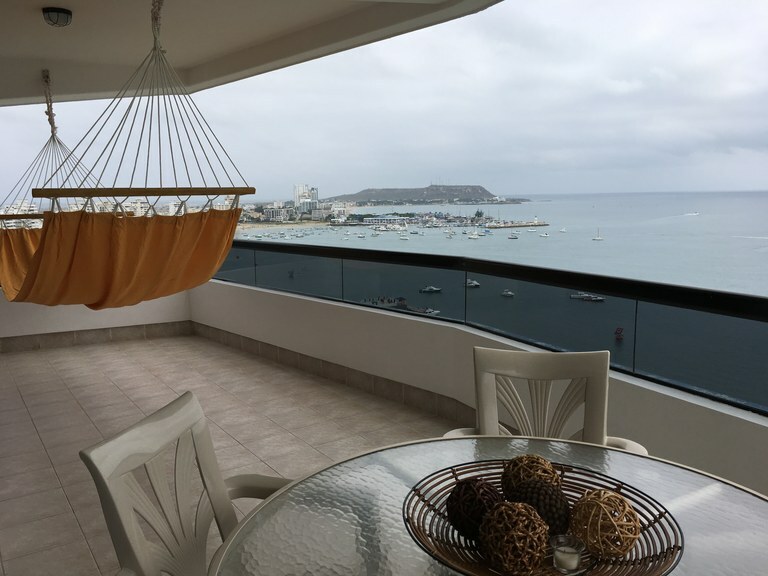 The best feature here is the large balcony with exterior views of all the property as well as the ocean which is all of 2 blocks away. The house is part of a larger property comprised of 2 other rental units that all share a communal bbq area as well as grassy outdoor seating area. A common pool is currently under construction. The monthly rate includes all utilities as well as basic internet. 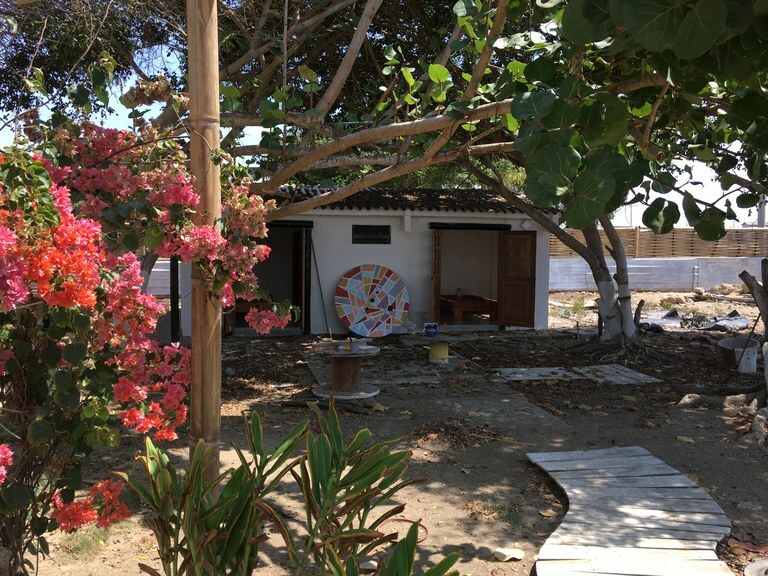 Rent this basic 2 bedroom 1 full bathroom cottage in a quaint setting close to the ocean. Located in a town that is about 15 minutes away from Salinas, this is a great rental for anyone who is looking to get away from it all. The suite is part of a larger property comprised of 2 other larger rental units that all share a communal bbq area as well as grassy outdoor seating area. A common pool is currently under construction. The monthly rate includes all utilities as well as basic internet. **NOV 2018 - UNDER CONTRACT**Experience the ultimate in privacy and luxury in this 3 story custom-built property, which offers all the conveniences to make it your full-time home or your home away from home. The home includes approximately 1,500 square feet of living space plus an additional 1,000 square feet outdoor entertaining area and has 3 bedrooms and 4 full baths. 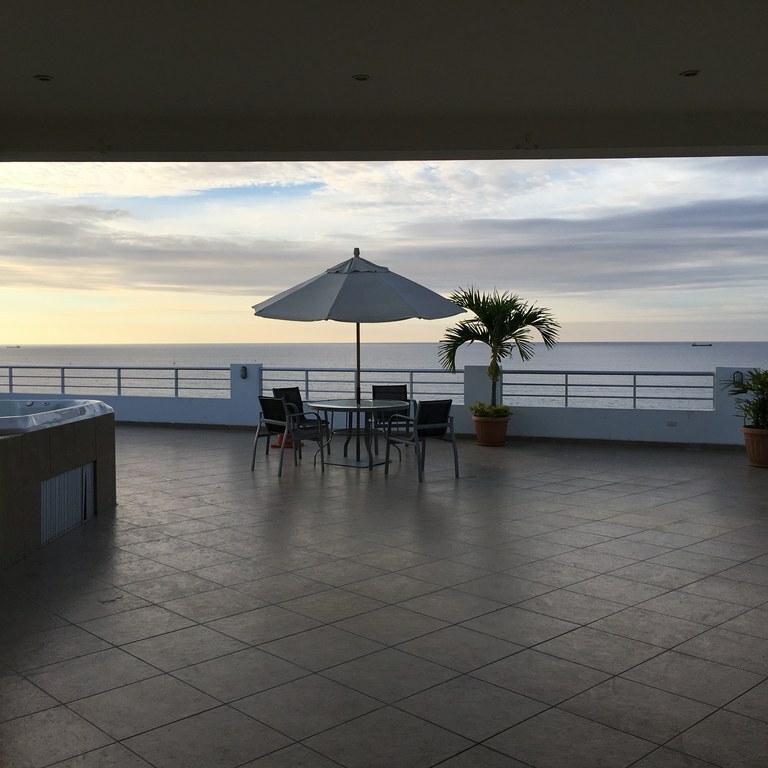 Enter off the main Malecón of Salinas into this gorgeous designer home built for pure rest & relaxation and entertainment & pleasure, and then ascend down a staircase to the lower level where you find the largest gourmet kitchen in all of Salinas. Enormous granite counter-top, a butcher’s block, all stainless steel appliances tucked away neatly, plus many other built-ins and little extras make this what most chefs only dream about. The living and dining areas are incorporated into the open-plan kitchen area so that the flow of guests is constant around the center counter block. In the living area a fabulous balcony hangs literally right over the ocean and another staircase leads down directly to the sandy beach for that toes-in-sand experience. The lower level is also where you find a guest bedroom with full bath, along with an additional full bathroom off the kitchen area. Take the stairs to the second level and even more design magic can be found. First stop is the second guest bedroom with its full bath. And then, the master bedroom which includes walk-in closet and the most spectacular en-suite master bathroom, with yes, a true bath tub – elevated enough to have its own ocean-view. The main attraction is the social area on the second floor, which can best be described as bar-none. 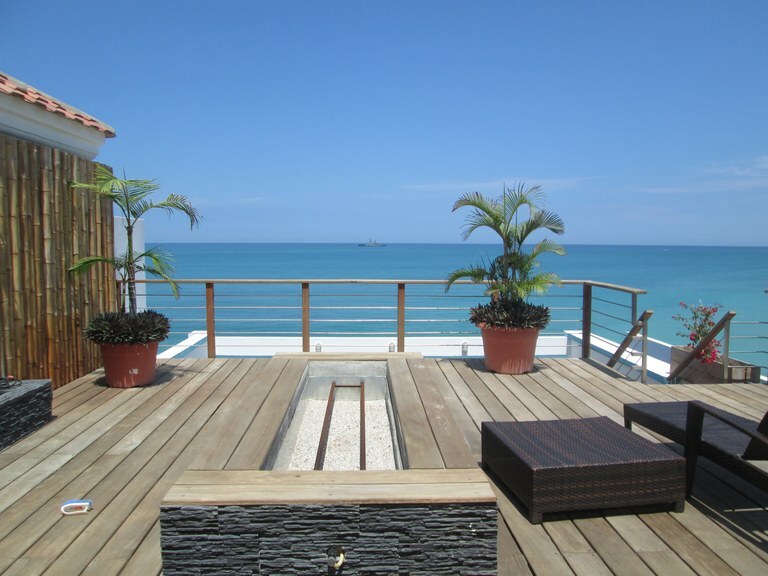 Relax in comfort and style on this spacious mid-level deck with exterior bar, infinity- Jacuzzi and fantastic sea-breezes. One final staircase up to the top reveals a spacious wooden deck, fire pit, water wall feature and additional bar, perfect for entertaining. The views from the top are magnificent and make a great area for entertaining family and friends. The property also includes a duplex caretaker’s quarter as well as a storage area and two-car garage. 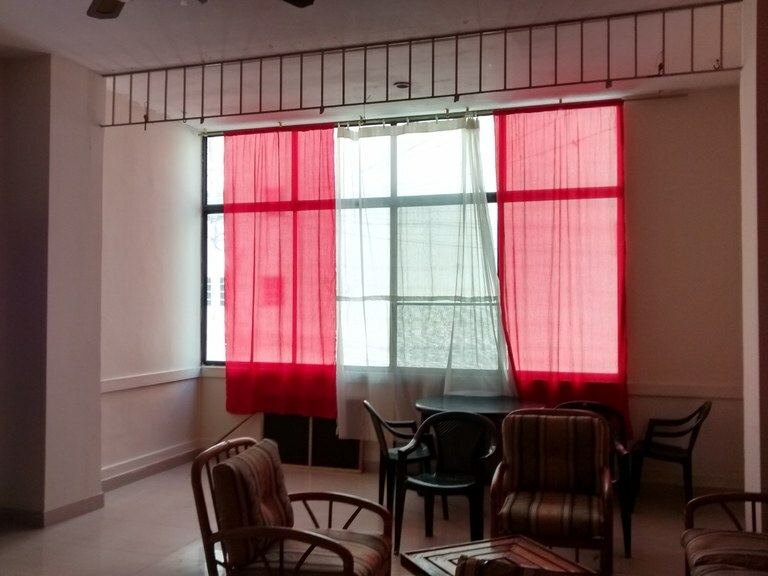 This elegantly decorated home is being offered semi-furnished. Please contact us to schedule a private viewing. Looking for a retail location to start up your small business in Salinas? This spot is located directly street front, and in a high traffic area. Located on a major road with good visibility and multiple other businesses in the area. Monthly building fee $25 does not include utilities. Annual property taxes approximately $35. Live in this PH level condo in the heart of Salinas!! 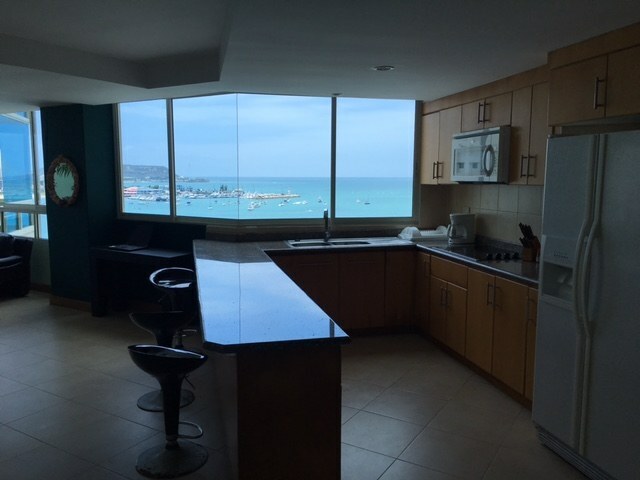 Recently updated 3 bedroom, 4 bath penthouse level condo with fantastic Salinas beach and bay views. 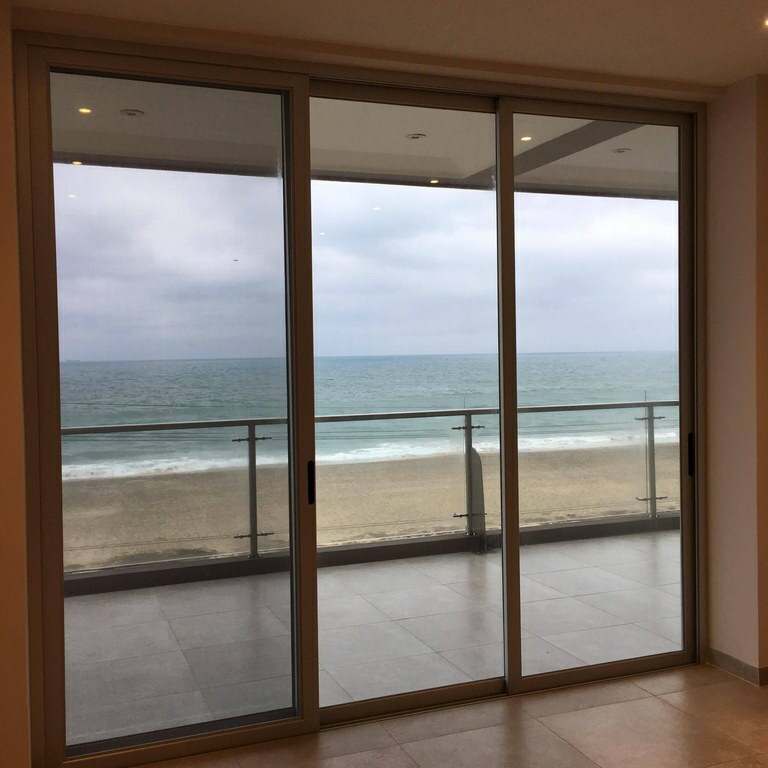 The front of the condo is pure windows and is an open concept space with living and dining areas that have full-length sliding glass doors that open all to one side to let in those great ocean breezes and allow for full unobstructed ocean views for people and boat watching all day long. There is a recently remodeled kitchen updated to include extra upper and lower cabinets and a bar. The kitchen has new appliances and comes fully equipped. One bedroom and bathroom is on the second floor rooftop suite accessible with an interior spiral staircase. This is a fully turn key rental with all expenses included including internet, and up to a $50/month electric credit. No need to rent a car, you can walk everywhere!! 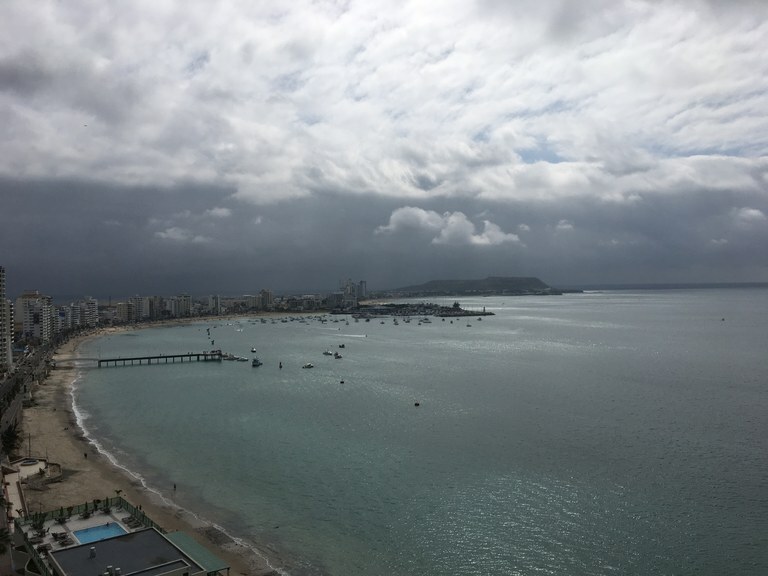 Shopping is right there on the Malecón as well as tons of restaurants and bars. This area gets really lively on weekends and especially on Holidays. A must see during New Years when the fireworks go on for hours!! The condo is in an older building, but has an elevator with a 24-hour security guard. High season and holiday rates apply. Enjoy this quiet, secure neighborhood of Salinas with easy-access to transportation, shopping, and many restaurants. 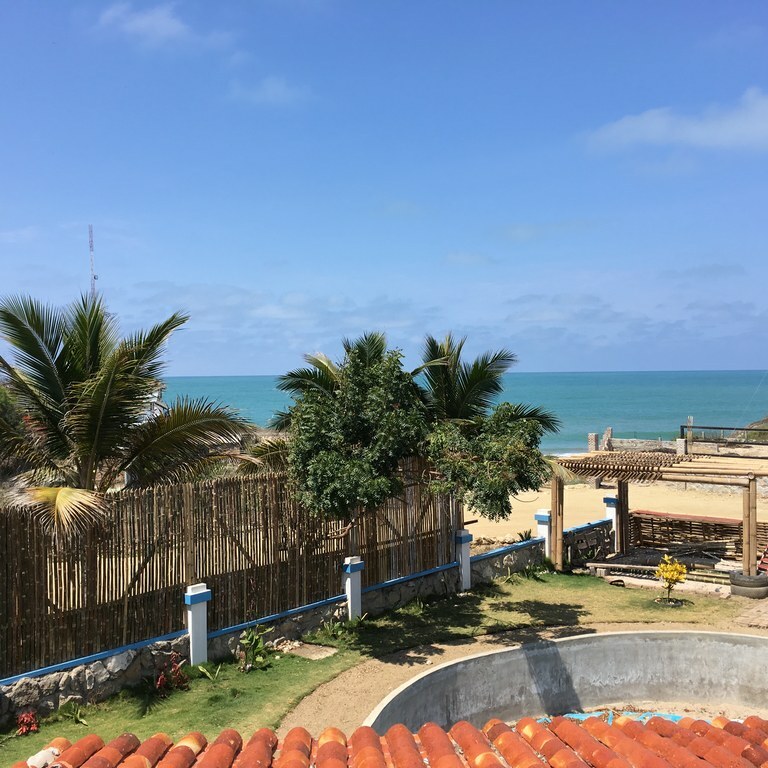 This condo is located on the ground floor of an older building within a block’s walk to the beach. There are three bedrooms, two full bathrooms, american-style kitchen and open concept living/dining areas. Great high ceilings keep the unit cool year-round. 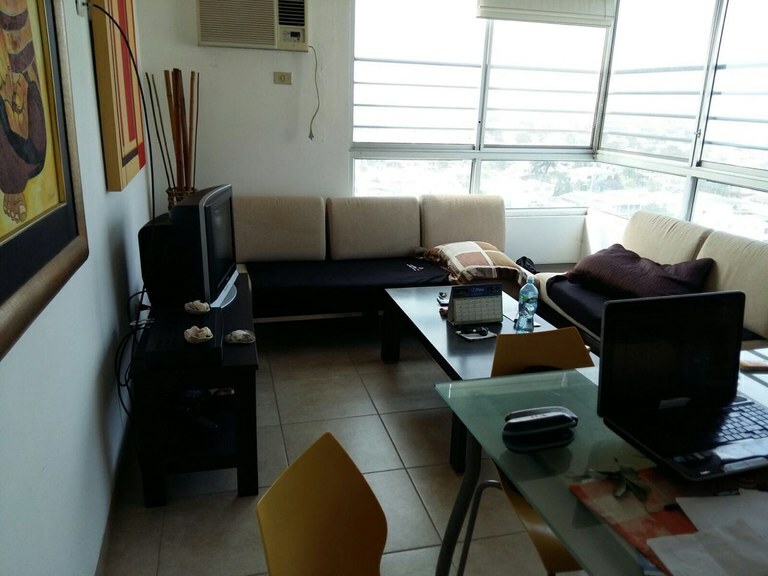 The unit is furnished with the basics and comes as-is since it is actively for sale. Available only on a short-term (monthly) basis $400/month plus utilities. 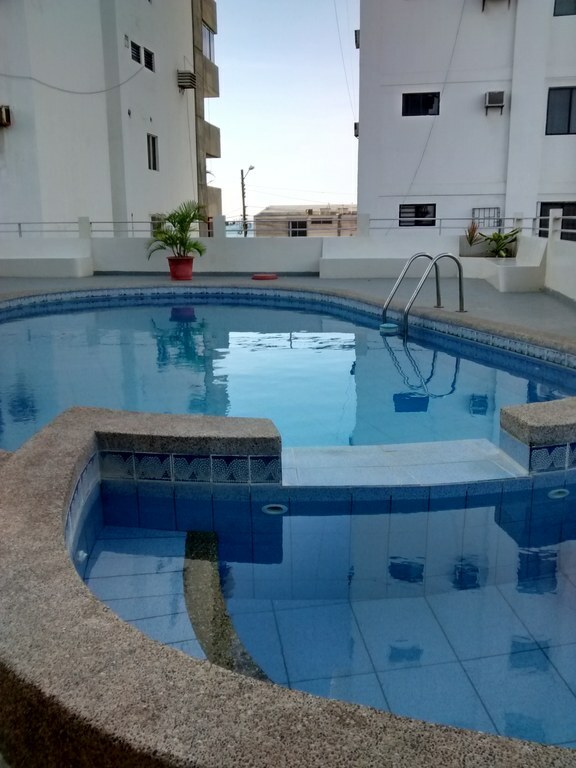 Enjoy your vacation in this 3 bedroom, 2 bath condo located right in down-town Salinas. No need to rent a car, you can walk everywhere!! 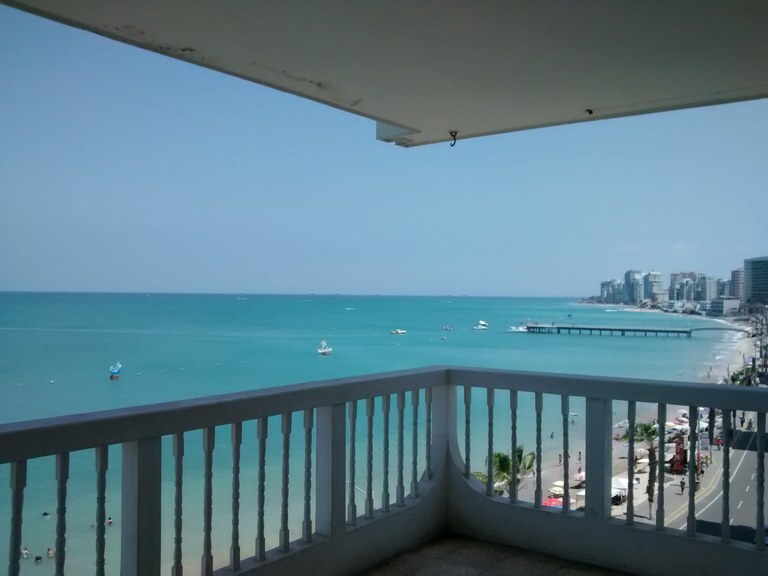 Shopping is right there on the Malecón as well as tons of restaurants and bars. This area gets really lively on weekends and especially on Holidays. A must see during New Years when the fireworks go on for hours!! Apart from the 3 bedrooms and 2 bathrooms, there is a tiny kitchen, and a large dining/living area which opens up to a huge balcony – where you will be spending all your time basking in the morning sun with a cup of coffee or an evening cocktail….people watching all day long. The condo is in an older building, but has an elevator and a parking spot if needed. Rates vary per season. Please contact us for availability. Investor Opportunity on the Boardwalk of Salinas! This unique property has multiple options for that entrepreneur in you. Located in a high growth, visible, secure area of the boardwalk of Salinas with easy-access to transportation, shopping, restaurants and more. Walk across the street to the beach. Currently a three story single-family home, this spot can be turned into many different options, or just left alone as a large family compound. The home could easily be converted into 2 separate apartments. The third floor is an open terrace with seating area and bathrooms; there is the possibility of adding an additional story. Or, convert the property into a boutique Bed-n-Breakfast style hotel. Each floor consists of separate apartments each of which are identical in layout. The apartments are huge (over 2500 square feet each) and are comprised of three bedrooms, three full baths, a visitor bath, living room, bar area, separate dining room, closed-in kitchen, laundry area, and maid’s quarters with full bath. The floors and countertop are marble and tile. There is an elevator shaft which can be enabled. The ground floor has areas for seating, gym, gardens and a caretaker’s suite. 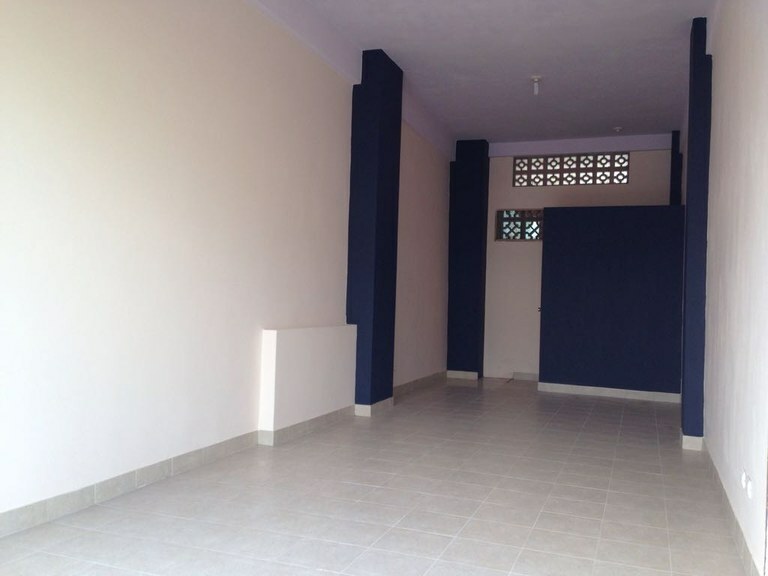 The property also has a vacant lot in the back with street access which can be sold off separately, used for social area such as additional parking, pool, jazuzzi, gardens etc. or used to build another structure be it a house, cabanas, or even a condo building. Use your imagination to put this property to work for you! This is a great place to have for a vacation get-away. 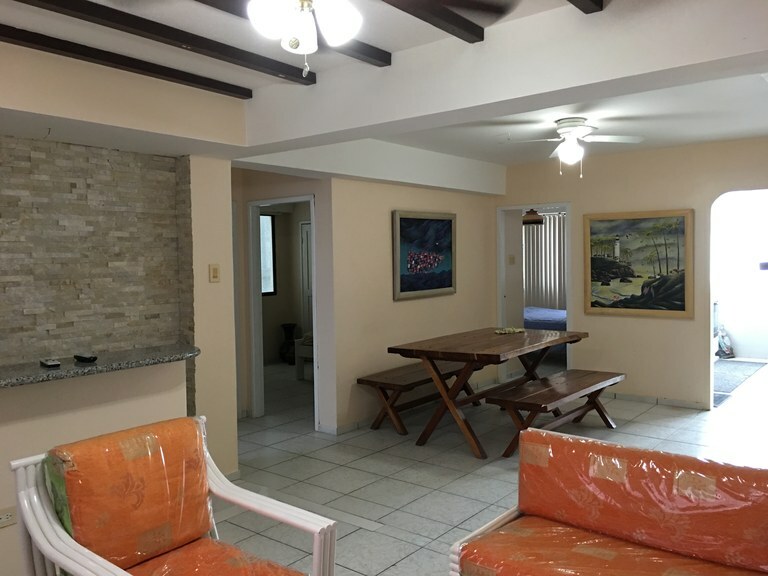 Just the right size with about 1000 square feet, this ground floor condo is the perfect size for your vacations here in Salinas. Located in a nice quiet section of Chipipe, one of Salinas’ most sought after neighborhoods. As you enter the condo you come into the large living/dining room with open concept kitchen off to the back. There is a breakfast bar in the kitchen which provides extra counter space for preparing food or dining. There is a full bathroom in the hall, followed by the first bedroom which has a window out to the parking area. The master bedroom is quite large with its own closet and en suite full bath. Through the kitchen and out the back door, there is a tiny walkway to a little mini private suite with a small bedroom and its own full bathroom. The building has only 4 units, each one with its own parking spot. The pool is enormous and there is a nice water feature which flows into the jacuzzy. Being sold un-furnished.